This article is about the statewide university system. For the flagship campus often referred to as "UMass", see University of Massachusetts Amherst. For other uses, see University of Massachusetts (disambiguation). For the university chartered in 1917 under this name, see Middlesex University (Massachusetts). The University of Massachusetts is the five-campus public university system and the only public research system in the Commonwealth of Massachusetts. The University system includes five campuses (Amherst, Boston, Dartmouth, Lowell, and a medical school in Worcester), and a satellite campus, with system administration in Boston and Shrewsbury. The system is accredited by the New England Association of Schools and Colleges and across its campuses enrolls 73,000 students. The UMass system is ranked 52nd in the World in 2016 for its Innovative Achievements according to Reuters. Times Higher Education World University Rankings ranked the system 91-100 in the world by reputation in 2015 and 19th in the world in 2011. Round University Ranking ranks University of Massachusetts No. 65 nationally and No. 165 globally in 2017. In 2016 The Times Higher Education ranked UMass 165 globally and 57 nationally. Furthermore, Times Higher Education ranked UMass system globally for 2017 by subject as No. 95 in engineering & technology, No. 92 in arts & humanities, No. 78 in physical sciences, and No. 91 in business & economics. In 2015, the system was ranked 30th globally in the Top 100 Worldwide Universities Granted U.S. Patents in 2015 by National Academy of Inventors. In 2017 Times Higher Education published its list of the most international universities in the world, with the University of Massachusetts listed No.88. In 2012, the Commonwealth of Massachusetts introduced $607 million in new bond funding to advance high-quality instructional and research facility projects throughout the UMass system. In 2017, research expenditures for the UMass system were close to $670 million. The University of Massachusetts Amherst is the flagship and largest school in the UMass system. It was also the first one established, dating back to 1863, when it was founded as the Massachusetts Agricultural College. The University of Massachusetts Medical School was founded in 1962, and is located in Worcester. The University of Massachusetts Boston, originally established in 1964, was merged with Boston State College in 1982. In 1991, the University of Lowell and Southeastern Massachusetts University joined the system as the University of Massachusetts Lowell and University of Massachusetts Dartmouth, respectively. Massachusetts is the flagship and the largest of the UMass campuses, as well as the first established. Like many colleges and universities, the Massachusetts Agricultural College (as it was originally called) in Amherst was founded as a land-grant college in 1863, receiving initial start-up funding as part of the Morrill Land-Grant Colleges Act. 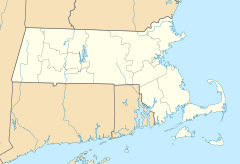 It became "Massachusetts State College" in 1931, and "University of Massachusetts" in 1947. The library system is the largest state-supported library system in New England with over 6.1 million items. The campus has many architecturally distinctive buildings commissioned by the Commonwealth and designed by world-renowned architects. Massachusetts offers a variety of academic and co-curricular options. Ninety-two percent of the more than 1,300 full-time faculty members hold the highest degree in their fields. The average SAT score for the 2018 entering class is 1296, and the average GPA is 3.90 on a 4.0 scale. The campus has 21,969 undergraduates and offers 109 bachelor's degree programs. There is a student-to-faculty ratio of 18:1 and 81% of classes have fewer than 40 students. Massachusetts hosts Commonwealth Honors College (CHC) where admission is more competitive with an average SAT score of 1411. CHC offers personalized advising, smaller class sizes taught by professors, and a six building Honors Residential Community, which opened in fall 2013. Students participate in 240 campus organizations, 21 NCAA Division I athletic teams, living-learning residence halls, community service, internships, and faculty research. Massachusetts is also part of the Five Colleges consortium, with Smith, Mount Holyoke, Hampshire, and Amherst colleges, all within a free bus ride of each other using the Pioneer Valley Transit Authority. Students can take classes on any of these campuses and participate in all co-curricular and cultural activities. Kumble R. Subbaswamy serves as Massachusetts's chancellor. UMass Boston is a research university located in the City of Boston. Located on the Columbia Point peninsula, the University is surrounded by the Boston Harbor, the John F. Kennedy Library and the Massachusetts State Archives. The Boston Globe is also headquartered adjacent to campus, as well as Boston College High School. Subsequently, the university holds many partnerships with its neighboring organizations, providing research and employment opportunities. UMass Boston is known for its growing and diverse student body of more than 12,000 undergraduates and nearly 4,000 graduate students, making it the third largest campus in the system. The University has five undergraduate colleges and two graduate colleges, with over 100 undergraduate programs and 50 graduate programs. Ninety-three percent of full-time faculty hold the highest degree in their fields. The campus is home to more than 100 student organizations — including clubs, literary magazines, newspaper, radio station, art gallery, and 16 NCAA Division III sports teams. Katherine S. Newman is the interim chancellor of the UMass Boston campus. Located in southeastern Massachusetts, UMass Dartmouth started in 1895 as the New Bedford Textile School, the Bradford Durfee Textile School, and later Southeastern Massachusetts University (SMU). UMass Dartmouth offers a wide array of programs in accounting, finance, management information systems, operations management and marketing, all of which are accredited by the Association to Advance Collegiate Schools of Business (AACSB) International. UMass Dartmouth has top ranking engineering and nursing programs. In addition to the 710-acre (2.9 km2) UMass Dartmouth main campus is, satellite campuses are located throughout the SouthCoast. With 7,982 undergraduate students and 65 degree programs, the campus has a student-to-faculty ratio of 18:1 in its College of Arts & Sciences; Charlton College of Business; College of Engineering; College of Nursing; College of Visual and Performing Arts; School of Education, Public Policy, and Civic Engagement; and the School for Marine Science and Technology. The University hosts internships, undergraduate research opportunities, and service learning experiences, as well as an Honors Program. More than 100 student organizations and 25 NCAA Division III athletic teams provide a strong community beyond the classroom. The buildings of the campus were designed by internationally renowned Modernist architect Paul Rudolph. Dr. Robert E. Johnson is the Chancellor of the UMass Dartmouth campus. University of Massachusetts School of Law was opened in September 2010 at the Dartmouth campus. UMass Lowell is the product of a 1971 merger between Lowell State College (founded in 1894 as Lowell Normal School) and Lowell Technological Institute (founded in 1895 as the Lowell Textile School). The merged institution became the University of Lowell, with the former Lowell Tech serving as the North Campus and the former Lowell State serving as the South Campus. UMass Lowell is a comprehensive University with a national reputation in science, engineering, Management and technology, and committed to educating students for lifelong success in a diverse world and conducting research and outreach activities that sustain the economic, environmental and social health of the region. UMass Lowell is located in the Merrimack Valley, close to Boston, ocean beaches, and the mountains of New Hampshire. With a national reputation for education and research in science, engineering, and technology, the campus offers a number of undergraduate and graduate programs. Academic programs include internships, co-ops, service learning, and international education. UMass Lowell has a total of 18,316 students as of fall 2017 and is the fastest growing of the five UMass campuses. The campus offers over 120 fully accredited programs taught by 737 faculty members in five colleges. Most of the 75 bachelor's degree programs offer five-year Bachelor's to Master's programs. The student-to-faculty ratio is 15:1 and half of the undergraduate classes have fewer than 20 students. Ninety-three percent of the full-time faculty members hold the highest degree in their fields. There are 12 University residence halls located on the campus. There are more than 120 active student organizations on campus, a campus recreation center, 16 NCAA Division I sports teams that compete in the America East Conference, and the ice hockey team that competes in the Hockey East Conference. The University of Massachusetts Worcester, also known as UMass Medical School, is one of the fastest growing academic health science centers in the country and is home to the School of Medicine (SOM) — the Commonwealth's only public medical school — the Graduate School of Biomedical Sciences (GSBS), the Graduate School of Nursing (GSN), and a research enterprise that attracts more than $200 million in external funding annually. Located in the heart of Central Massachusetts on a 63-acre (250,000 m2) campus it shares with clinical partner UMass Memorial Health Care, the region's premier health care delivery system and largest employer, UMass Medical consistently ranks among the top ten percent in the U.S. News & World Report's annual ranking of best medical schools. The work of UMass Medical researcher and 2006 Nobel Prize winner Craig Mello, an investigator of the prestigious Howard Hughes Medical Institute, toward the discovery of RNA interference has launched a promising new field of research. The school is also the future home of the Albert Sherman Center, an interdisciplinary, research and education facility that will foster collaboration among scientists and innovation across disciplines. Michael F. Collins is the chancellor of the UMass Medical School campus. On August 8th 2013, The University of Massachusetts started requesting proposals for potential classroom and office space to establish a satellite center in Springfield. UMass was looking for 25,000 square feet of space that it would use for classrooms, faculty offices and other uses, with the option of doubling the amount of space at a later date. On November 23rd 2013, Gov. Deval Patrick and University of Massachusetts President Robert L. Caret announced the selection of Tower Square in downtown Springfield as the university's new satellite center. The university would lease 27,321 square feet on the second floor of the 30-floor building, which is owned by the Massachusetts Mutual Life Insurance Co. and located at 1500 Main St. UMass planned to establish academic programs at the center starting in the fall 2014. In 2014, the state of Massachusetts gave $5.2 million to the Springfield satellite center to allow the university to complete construction and buy furnishings. . The satellite center, administered by the Amherst campus, opened in March 2014, registering students for September 2014. Programs include nursing, education, business administration, addiction counseling, and GED classes. Enrollment in the more than 20 courses offered at the center has grown from 250 students in the fall of 2014 when it opened to 850 in the spring of 2016, according to Daniel Montagna, director of operations at the center. From courses leading to bachelor and doctoral degrees in nursing to a master degree in business administration, and from a 180-day teacher certification program to a cybersecurity certificate program fueled by a $5 million investment by MassMutual. The Massachusetts Green High Performance Computing Center is a joint venture of the University of Massachusetts system, MIT, Harvard, Boston University, and Northeastern to build a shared high-performance computing facility. In 2010, UMass Boston partnered with Dana–Farber/Harvard Cancer Center to collaborate on research aimed at addressing issues of cancer health disparities in disenfranchised populations under U54 Cancer Partnership. University of Massachusetts Intercampus Graduate School of Marine Sciences and Technology is a graduate degree program offering Master of Science, Doctor of Philosophy and Professional Science Master's Degree. The graduates receive a joint degree from all four of the main UMass campuses. The FY 2014 Operating Budget for the UMass system is $2.94 billion representing a 2.6% increase over the current year expenses. Several university of Massachusetts employees are among the highest paid state employees in Massachusetts. The President is the University's chief executive officer and works to advance its mission of education, research and public service. Marty Meehan became the 27th president of the five-campus, 73,000-student University of Massachusetts system on July 1, 2015. Below is a list of Presidents of the University of Massachusetts. Before the 1962 establishment of the Medical School, the president was the administrator of the system's only campus in Amherst. When UMass Boston was organized in 1964, it was headed by a chancellor who reported to the president. In 1970, as part of a reorganization, day-to-day leadership responsibilities for UMass Amherst were transferred to a chancellor, with both chancellors reporting on an equal basis to the president. Today, the President administers five campuses. The University of Massachusetts is governed by a lay Board of Trustees. The Board of Trustees functions as a legislative body dealing mainly with questions of policy. The board is not an administrative or management board. In certain rare instances when required by the Massachusetts General Laws, it may function as an appeal body. The board establishes the general policies governing the University, but has delegated many powers to the President and, through the President, to campus administrators for day-to-day-operations. The founding Board had fourteen appointed members and four ex-officio members. Formerly, Trustees were appointed by the Legislature or the board itself; currently, members are appointed by the Governor. The size of the board has fluctuated between twelve and twenty-four members. The current Board is composed of nineteen voting members and three ex-officio non-voting members. Seventeen Board members are appointed by the Governor of the Commonwealth; at least five of those appointed must be alumni of the University and one must be a representative of organized labor. The other two voting members are students. Overall, the board has five student members, elected for one-year terms, from the Amherst, Boston, Dartmouth, Lowell and Worcester campuses. Voting membership rotates among the campuses: two students are voting members and three others are ex-officio non-voting members. ^ "Annual Budget" (PDF). Retrieved 1 September 2018. ^ "University of Massachusetts system - Institution Research Facts" (PDF). University of Massachusetts Office of the President. December 4, 2015. Retrieved December 4, 2015. ^ "University of Massachusetts". Times Higher Education World University Rankings. Retrieved October 16, 2016. ^ "UMass Opens Springfield Center Campus Office". WAMC/Northeast Public Radio. Retrieved April 3, 2014. ^ "UMass' Springfield center holds opening ceremony". boston.com. Retrieved April 3, 2014. ^ "About - University of Massachusetts Office of the President". ^ "UMass Fact Card 2014-15" (PDF). ^ "The World's Most Innovative Universities 2016". 28 September 2016 – via Reuters. ^ "World's Most Innovative Universities - 2016: #52 University of Massachusetts System". 28 September 2016 – via Reuters. ^ "World Reputation Rankings 2015". Times Higher Education. Retrieved November 27, 2015. ^ "Best universities in the United States". 21 September 2016. ^ "Top 100 Worldwide Universities Granted U.S. Patents in 2015" (PDF). National Academy of Inventors. 24 July 2016. ^ "UMass System sets record for patents awarded". University of Massachusetts. 15 September 2015. ^ "The World's Most International Universities 2017". Times Higher Education. Times Higher Education. Retrieved 1 February 2017. ^ "Patrick announces $607M in new funding for UMass system". The Herald-News. Retrieved February 5, 2013. ^ "As UMass celebrates 150th anniversary, $607 million invested in UMass System". Government of Massachusetts. Retrieved February 5, 2013. ^ "UMass research portfolio soars to record-high $670 million". University of Massachusetts Official Website. Retrieved 6 April 2018. ^ "UMass.edu". Umass.edu. Retrieved 2019-04-11. ^ a b "Massachusetts.edu". Massachusetts.edu. Retrieved 2011-12-13. ^ "Umass.edu". Umass.edu. 2012-07-01. Archived from the original on 2012-07-02. Retrieved 2011-07-01. ^ "Carnegie Classification". Carnegie Foundation for the Advancement of Teaching. Retrieved July 18, 2010. ^ "This page/site is temporarily unavailable" (PDF). Archived from the original (PDF) on 2014-05-22. Retrieved 2014-05-22. ^ a b c "Massachusetts.edu". Massachusetts.edu. Retrieved 2011-12-13. ^ "Umassmed.edu". Umassmed.edu. Retrieved 2011-12-13. ^ "UMass requests proposals for Springfield satellite center". masslive.com. ^ "UMass chooses Tower Square as location for Springfield satellite center". masslive.com. ^ "Deval Patrick touts $5.2 million investment in UMass Springfield satellite center as vital for education, economic development". MassLive.com. Retrieved May 9, 2014. ^ "Outlook 2014: What will be the academic focus of the new UMass Springfield satellite center?". MassLive.com. Retrieved May 9, 2014. ^ "State giving UMass $5 million to complete Springfield work". Boston Business Journal. Retrieved May 9, 2014. ^ Tuthill, Paul. "UMass Opens Springfield Center Campus Office". ^ "Program Offerings". Retrieved 2015-12-22. ^ "UMass Center in downtown Springfield fulfilling promise as base for academics, community engagement". masslive.com. 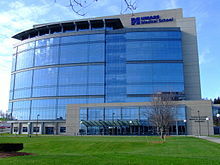 ^ "The UMass Boston - Dana-Farber/Harvard Cancer Center". University of Massachusetts Boston. Retrieved April 28, 2014. ^ a b "Inter-campus marine program gets approval". SouthCoastToday.com. Retrieved May 13, 2014. ^ "University of Massachusetts Intercampus Marine Science". University of Massachusetts. Retrieved May 13, 2014. ^ "UMass System Fiscal Year 2014 Operating Budget" (PDF). University of Massachusetts. Archived from the original (PDF) on April 29, 2014. Retrieved April 28, 2014. ^ "UMass staffers top list of highest paid employees in Massachusetts (BBJ DataCenter)". Boston Business Journal. Retrieved April 28, 2014. ^ "UMass tops the charts of highest paid state employees". The Massachusetts Daily Collegian. Retrieved April 28, 2014. ^ "More than 1,000 state employees get pay hiked over $100,000". Boston Herald. Retrieved April 28, 2014. ^ "Massachusetts.edu". Massachusetts.edu. 6 September 2013. Retrieved 3 February 2014. ^ "Board Members | University of Massachusetts Office of the President". www.umassp.edu. Retrieved 2018-02-06.